Operation Radd-ul-Fasaad: Security Forces conducted Intelligence Based Operation (IBO) in village Manra of Tehsil Birmal, South Waziristan District. Operation Radd-ul-Fasaad: Security Forces conducted Intelligence Based Operation (IBO) in village Manra of Tehsil Birmal, South Waziristan District. 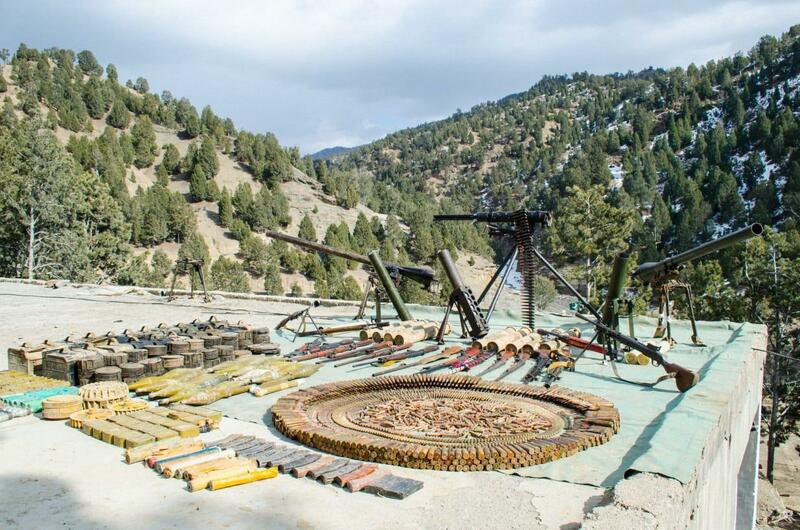 Cache of weapons and ammunition recovered from an abandoned terrorist hideout. Recovery includes guns of various types and calibers, rocket launchers, heavy and light machine guns and ammunition.